Admiring gorgeous bouquets is one of our favourite past times at Ruby + Swallow and our dedicated Pinterest board is clear evidence that if we could, we would be pinning bouquets 24 hours a day (after stationery, of course)! To put our passion to practical use, we thought it would be fun to share some flower inspired posts with you over the next couple weeks. We simply had to start this series featuring Peonies, one of the most requested bouquet flowers for the last few years. At a blooming rate of 3 years to reach full maturity, these beautiful blossoms take time to grow and are often charged at a per flower rate due to the large and voluminous sizes they grow to. These soft, billowing flowers have been a firm favouite of ours for a long time. They're romantic, elegant and so dreamy. They also have a strong sweet and floral fragrance - all the better to accompany you down the aisle with! 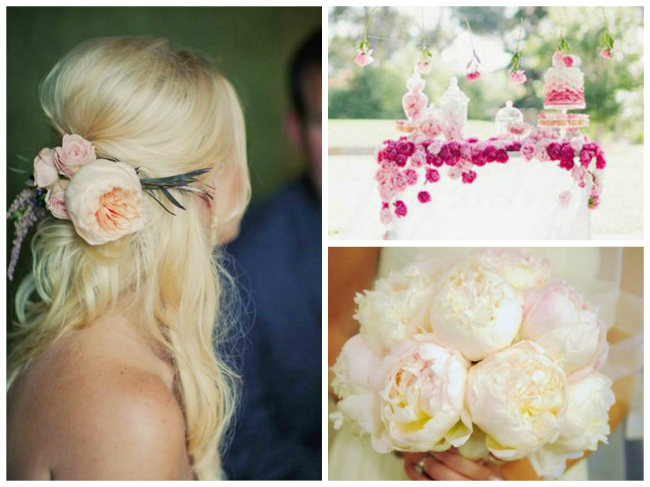 What's more; peonies are great for a DIY bride - they look fabulous just bunched together and tied with ribbon - you don't need anything else except their beauty to shine. Varieties: There are over one hundred varieties of Peonies, but the most popular types are Tree Peonies, Shirley Temple (our favourite), Sarah Bernhardt, Festiva Maxima and Walter Mains. 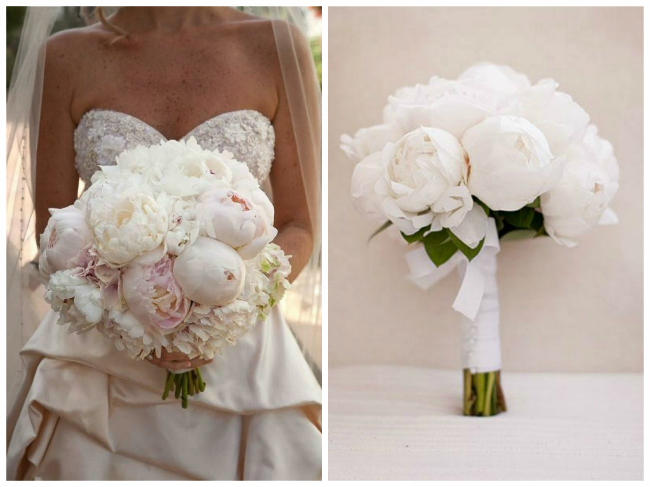 - It goes without saying that the best way to bring Peonies into your wedding is through your bouquet. 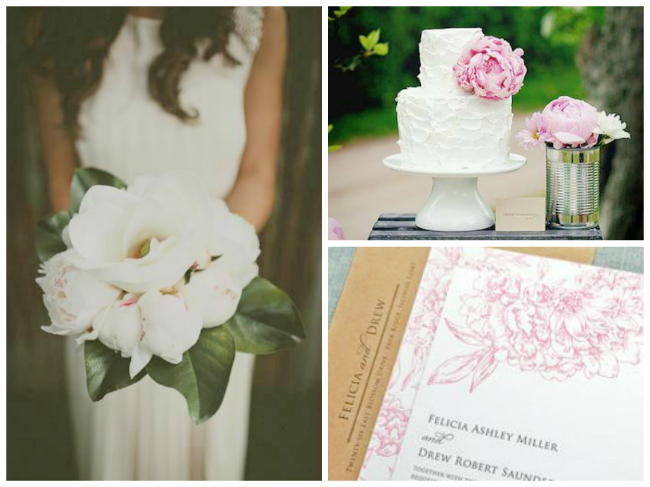 Pinterest is full of different examples of Peony bouquets - start here for some inspiration.